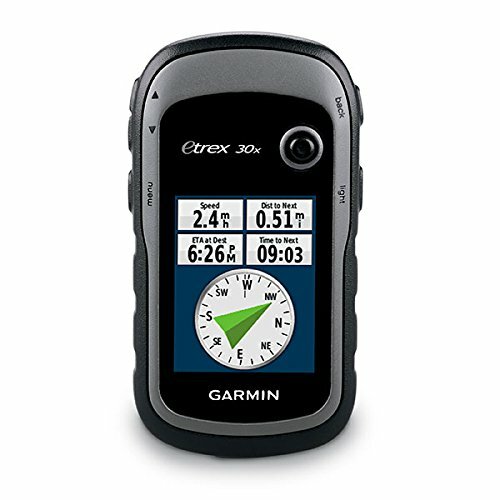 The new eTrex 30x is our upgraded version of the popular eTrex 30, with enhanced screen resolution and expandedinternal memory so you can download a greater variety of maps than ever. This rugged, dependable GPS retains the easeof-use and affordability that eTrex is legendary for, with an array of compatible mounts for use on ATVs, bicycles, boatsand cars. The new eTrex 30x also has the ability to track both GPS and GLONASS satellites simultaneously. Add to that a3-axis tilt-compensated electronic compass and barometric altimeter, and you’re ready to confidently go anywhere. Tagged 0100150810, eTrex, Garmin, Handheld, Navigator. Bookmark the permalink.